Ian Parker has been a leading light in the fields of critical and discursive psychology for over 25 years. The Psychology After Critique series brings together for the first time his most important papers. Each volume in the series has been prepared by Ian Parker, features a newly written introduction and presents a focused overview of a key topic area. What was the crisis in psychology and why does it continue now? How did debates regarding the traditional ‘laboratory experiment’ paradigm in psychology set the scene for discourse analysis? Why are these paradigm debates now crucial for understanding contemporary critical psychology? The first two chapters of the book describe the way critical psychology emerged in Britain during the 1970s, and introduce four key theoretical resources: Marxism, Feminism, Post-Structuralism and Psychoanalysis. The chapters which follow consider in depth the critical role of Marxist thinking as an analytic framework within psychology. Subsequent chapters explore the application and limitations of critical psychology for crucial topics such as psychotherapy, counselling and climate change. A final chapter presents an interview which reviews the main strands within critical psychology, and provides an accessible introduction to the series as a whole. 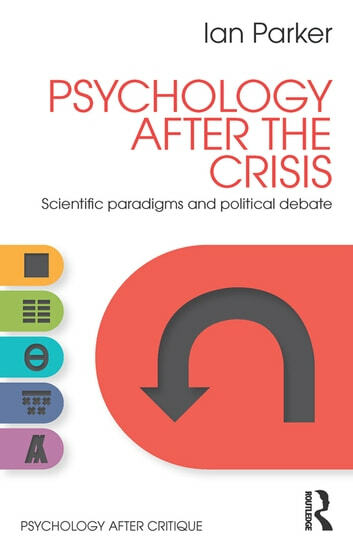 Psychology After the Crisis is essential reading for students and researchers in psychology, sociology, social anthropology and cultural studies, and for discourse analysts of different traditions. It will also introduce key ideas and debates in critical psychology for undergraduates and postgraduate students across the social sciences.